White acrylic and oil paint is a mainstay of a painter’s color palette. It accounts for half to three-quarters of the paint on most paintings, so plays a very important role in the composition and success of the painting. Many artists give a lot of consideration to the particular hue and quality of, for example, a red they’re using, but will pick up any tube of white, mistakenly thinking that any white will do the same job. This is not true. There are great variations in the whites that are manufactured, between types of whites, grades of white, and even between manufacturers, and learning the different types will help you improve your painting and achieve the effects you’re after. Using the right white is actually one of the most important decisions you can make as a painter. Because oil paints have been in existence for so much longer than acrylic paints, there are many more types of white paints available for oil than for acrylic. For example, Gamblin Oil Paint company started out making three whites but over the past thirty years has developed seven different whites. Winsor & Newton has nine different whites in their Artists' Oil Color Range. Generally, though, there are three commonly used white paints for oil - Lead (or Flake) White, Titanium White, and Zinc White; and two for acrylic - Titanium White and Zinc White. 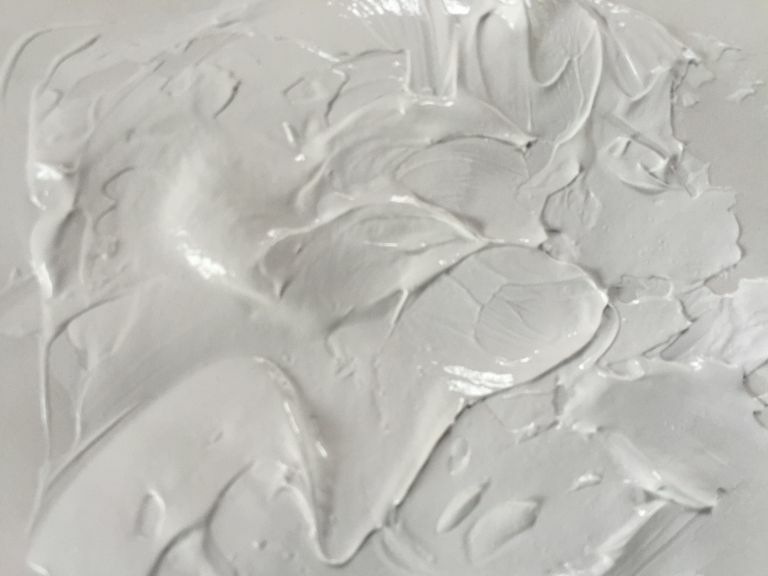 With the recent introduction of Open Acrylics to the art market, which are acrylic paints with a slower drying time, there are also Titanium White (Open) and Zinc White (Open). The earliest white pigments were lime powder and gesso, used during prehistoric times. Lead White paint was introduced in Ancient Greece and became widely used during the Renaissance, and is common in all the classical European paintings. It was widely used until the invention of Titanium White in 1921. However, Lead White paint, also known as Flake Paint, is toxic, can cause brain damage, and needs to be used carefully. Many artists now prefer to use Titanium White or other non-toxic alternatives, such as Flake White Hue, that is a good substitute. White is critical for providing contrast, ranges of values, and tints in a work of art. A white or high-key painting (a painting all in tones lighter than middle gray) also evokes certain emotions such as lightness, purity, and innocence. Many modern abstract artists have used white extensively in their paintings, like Kasimir Malevich in his Suprematist painting: White on White (1918), and others as seen in 10 Famous White Paintings, for example. In general, white paints which result from the white pigments being milled with linseed oil will dry faster than whites made with safflower, poppy or walnut oils. They are also generally the most flexible. Safflower oil has a paler color than linseed oil and has non-yellowing characteristics, though, so white paints made with safflower oil are the whitest whites. According to the Winsor & Newton website, they mill all of their white pigments with safflower oil. Besides how it looks, how the paint feels to work with is important when painting. Painting is a tactile and physical process and the physicality of the paint is as significant as its appearance. Is the paint buttery and smooth or thick and stiff? This will impact how it feels to apply the paint, what method you use to apply it - whether brush or palette knife and how well it holds the brush marks or other textures. You will also want to consider the drying time of the white you use if painting in oils (one of the advantages of acrylics is that they dry at the same rate.) If you are using the white as an underpainting you don't want to use a white that will take a long time to dry, or at least you want to be aware of this quality and use it thinly, mixed with turpentine or turpenoid (odorless turpentine), so it dries more quickly. Other factors to consider include the brilliance and whiteness of the white; its opacity or transparency; its tinting strength and covering power; and its temperature - is it warmer or cooler? These will all influence your choice of a certain white. Zinc White is the most transparent, least opaque of the whites. It is also known as Chinese White to watercolorists. Although it dries slowly, it is good as an underpainting if you want to be able to see a sketch on the canvas through the paint layer. It can be mixed with another pigment for some color. It is also good for subtle tints and modulations in value and color since its tinting strength is less than other whites, meaning it takes more white to lighten another color. You might use Zinc White when representing misty landscapes or sunlight through a lace curtain, any area where a lighter touch is needed. Zinc White is also good for glazing and scumbling, or for toning down a semi-transparent color without losing its transparency as much as you would with Titanium White. 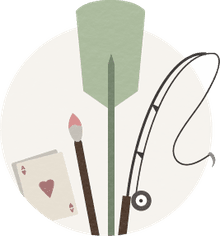 However Zinc White is brittle when dry and can crack, so should not be used extensively in an oil painting on a flexible support such as canvas or linen. Since acrylic paints all dry at about the same time, this is not an issue for acrylics. Zinc is not a good all-purpose white for oil painting but is very good for special purposes. It has a slightly cooler hue and is slightly stiffer than Titanium and Flake White. Fun fact: Zinc White is made from zinc oxide, which is good for healing minor skin irritations and effective as a sunscreen. Titanium White is the most widely used white paint. It is the go-to white paint for many artists because it is the whitest, most opaque white, reflecting back about 97% of the light that falls on it (versus 93-95% that the lead paints used by the Impressionist painters did), with the greatest tinting strength. It has a flat, matte, almost chalky appearance, and will make all paints, even those that are semi-transparent, opaque. Titanium white has a neutral temperature bias, being neither warm like Flake White, or cool like Zinc White. It is useful for blocking in areas of color, for covering over previously painted areas, and for highlights. Its texture is buttery, softer than Flake White, yet it holds its mark straight from the tube, and is easy to move around with the brush when mixed with a little medium. Titanium White is good for painting in a direct way such as alla prima or with a palette knife. The Impressionists would have loved Titanium White for painting directly the effects of sunlight on the landscape, still lifes, and portraits. However, although it is good for many things, for transparent effects such as the fine mist of ocean spray, Zinc White would be a better choice. Flake White is the traditional lead white in oil paint and has been used throughout history in all the masterpieces from ancient times on. It is very flexible and durable, so artists did not have to worry about the paint cracking. It also dries relatively quickly. It has a creamy texture that holds marks well and a slightly warmer hue that is good for skin tones in portraiture. Like Titanium White it is very opaque and useful for direct methods of painting and capturing the effects of light, but with a lower tinting strength. Contemporary manufacturers of Flake White, such as Winsor & Newton, include a bit of zinc pigment that improves its consistency. Titanium-Zinc white is made by several manufacturers and combines the best of titanium white and zinc white. Unlike Zinc White, it is creamy and flexible, and it has greater whiteness, opacity, and covering power without completely overwhelming a color like Titanium White can do. It is an excellent all-purpose white. Its drying time is similar to other paints made with linseed oil. Flake White Hue has the same properties as Flake White but is titanium based, does not contain lead and is non-toxic. It is a warm creamy white made with linseed oil that dries relatively fast. It is more translucent than Titanium White so is good for glazing and indirect painting approaches. It is useful for portraiture and figure painting and capturing the nuances and translucency of skin. Some Flake White Hue paints may have some zinc oxide in them as well which improves consistency, making the paint a bit stiffer and good for impasto techniques. Winsor & Newton makes other white oil paints including Transparent White, Iridescent White, Soft Mixing White, and Antique White, which have characteristics discernible from their names. Gamblin makes a line of oil paints called the FastMatte line which includes FastMatte Titanium White. It has a fast drying rate and matte surface which makes it good to use for underpainting. The FastMatte colors dry in 24 hours yet are compatible with traditional oil colors. Using FastMatte Titanium White as the primary white with traditional oil colors will speed up the drying time of the colors with which it is mixed, depending on the percentage of white used. The faster drying time allows for painting in layers more easily. Out of the tube, FastMatte Titanium White is somewhat grittier and denser than Gamblin's traditional Titanium White. Gamblin also makes a Quick Dry White that has the properties of traditional Titanium White but dries a day or so faster. The color temperature of white is determined by the oil that it is milled with. Whites made with linseed oil are warmer, whites made with safflower oil are cooler. Portrait and figure painters might prefer warm whites, while landscape artists might prefer cooler whites for highlights depending on the scene, or abstract artists might want to control the temperature of their white that they use for color rather than light. Winsor & Newton, Choosing a White in Oil Color.